Experience Hollywood's most popular sightseeing tour of Los Angeles! 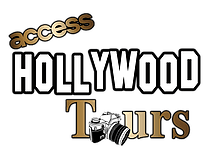 Our Hollywood tour is fully narrated by our fun and entertaining tour guides as you explore Hollywood, the Sunset Strip, Rodeo Drive in Beverly Hills & Celebrity Homes. "So fun! My friend and I took a trip to LA and were the ultimate movie tourists. At the last minute, we booked a time slot with Access Hollywood Tours. Initially, they didn't have the time we were hoping for so we were prepared to rush our morning plans to make it work. BUT, they quickly called and texted us when spots opened up for a later time which was clutch. Our guide Junior was fantastic. He dropped all the knowledge of Hollywood as we drove through some of the best neighborhoods and he kept us laughing the entire time. Bring a jacket because it can get chilly! And don't forget to grab some cash so you can tip. :)"